The Denver Broncos and Green Bay Packers squared off in Super Bowl XXXII in 1988 at Qualcomm Stadium in San Diego, California. January 25, 1988 the Denver Broncos took home the Super Bowl title over the Green Bay Packers with a final score of 31-24. A total number of 68,912 people showed up to the game in San Diego at Qualcomm Stadium. The referee for this game was Ed Hochuli. Jewel was brought aboard to sing the National Anthem for Super Bowl XXXII. This was a close game for both teams. Green Bay and Denver went neck to neck for most of the game, which made it really interesting to watch. 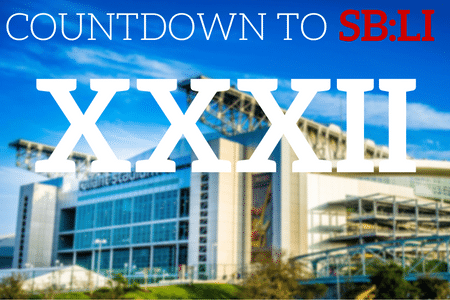 There were 90 million viewers who tuned in for Super Bowl XXXII. Denver had actually lost four Super Bowls in the past, so this was their chance to show their fans what they were made of. The MVP of the game was Terrell Davis who was the running back for the Denver Broncos. He played quite a game and ended up scoring the go-ahead touchdown with only 1:45 left on the clock. The halftime show was very exciting, top bands like Boyz II Men and Smokey Robinson showed their faces. The NBC network aired Super Bowl XXXII and there were a total of 90 million viewers.